Emotional Freedom Technique is a non invasive meridian energy therapy. Meridian therapies work via the body’s meridian energy system. Acupuncture is a meridian energy therapy. Emotional Freedom Technique has been described as a psychological form of acupressure. It was developed by the American Gary Craig in the 1990’s. It is used by thousands of therapists and self help enthusiasts worldwide to work on a vast array of problems. Technically EFT only does one thing, it re-balances the bodies energy. Many people however as a consequence of re-balancing their energy have found alleviation of pain, phobias, mood, anxiety, panic, PTSD, limiting beliefs, eating issues, fibromyalgia alleviate. That is only a brief list of the many conditions reported across the net as improving after the use of EFT. Emotional Freedom Technique (EFT) is a very simple process that involves tuning into an issue and then tapping with gentle percussion on a sequence of acupoints that are mainly located on the face. Other points that are used include ones near the collar bone and under the arm. Whilst tapping on the acupoints words are spoken to help the person tune into their problem. The person often speaks the words aloud. This is done in order to stop the mind straying from the problem. In the original, classic version of EFT, thirteen of the body’s fourteen main meridians were tapped upon. The liver meridian was commonly missed out mainly because of its location, which was thought to be a very sensitive area for a woman. The point is located on the chest. More recently therapists have started to include the point. The EFT shortened protocol involves seven of the main tapping points. There are several organizations around the world involved in certificating training in EFT. One of the longest established and largest is EFT International. Deep State RePatterning is a process based on EFT and NLP. It deals with the roots of problems and commonly tackles ancestral, past life and issues that stem from the womb. It can also be seen as a more gentle approach as it uses dissociation. It is also based on inner child work. 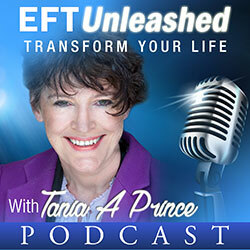 Inner RePatterning – is an offshoot of EFT developed by EFT Master Tania A Prince and co developed by June K Spencer. This energy therapy approach blends mindfulness and tapping. EFT Therapists often use different terms to refer to their training in EFT. EFT Practitioners are generally those who have trained to the level 2 standard, although people who have not may also use this term. Advanced EFT Practitioner often refers to those who have trained to level 3 (but not always). 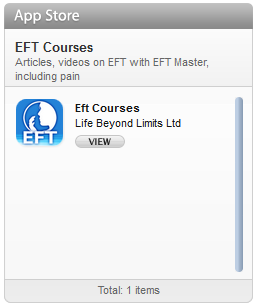 EFT Masters- there are only 29 EFT Masters from the original programme set up by the founder of EFT, Gary Craig. Masters from this programme often refer to themselves as “EFT Founding Master”. This programme is no longer running. EFT ( Founding) Masters were required to have worked with hundreds of clients, pass a detailed examination process including live demonstrations. 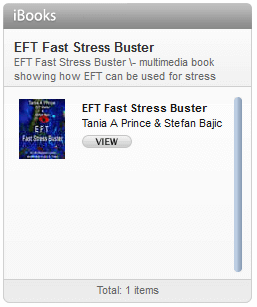 This program should not be confused with EFT Masters post this program. The requirements needed to achieve this designation were minimal.